There's nothing quite like shopping and knowing that your money is actually makign a difference and helping animals in need, rather than just lining pockets of corporations. Below is a list of some of our very favourite organizations who donate partial proceeds and products to help support rescues. When you purchase from these generous people you are directly helping animals in need. On these sites you'll find the perfect items for Birthdays, Christmas, or "just because you want to gifts" for the whole family. 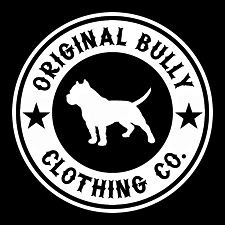 Original Bully® is a Premium Fashion and Accessory Line designed to cater to Bully Breed Advocates, Owners and Enthusiasts who wish to make a social statement and express their passion for Bully Breed dogs! Their mission is to bring Bully Breeds, of all kinds, to the mainstream, representing them through lifestyle apparel. A portion of all proceeds are donated non-profit organizations focusing Bully Breeds. 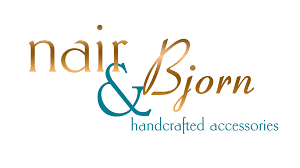 Nair and Bjorn make handmade unique, stylish and fun accessories and donate 10% of the proceeds to no-kill shelters. They are on a mission to help rescue animals one accessory at a time. Use code LEXYTHEELDERBULL at checkout to save 10% on your purchase. This amazing organization was created to showcase and celebrate the pitbull as a majestic, affectionate, and intelligent type of dog that is sorely misunderstood. Their shop includes calendars, apparel, accessories, home décor and so much more! And a portion of proceeds going to animal rescue groups and shelters -- to increase the public's awareness of the good qualities of these wonderful dogs. 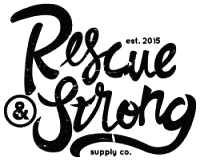 Rescue Strong was started with two purposes - to serve as a creative outlet and more importantly, give back to animal rescue organizations. We use at least 50% of all proceeds to give back to rescues, and we are always looking for new ways to do that. We are a small shop, just myself (CJ) and our rescue pup, Luna. We believe in what we craft and take a lot of time and effort into making sure we are making things that you will love. 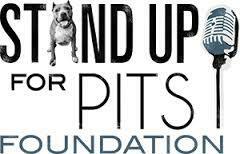 The Stand Up For Pits Foundation is a 501c3 non-profit dedicated to saving lives and ending the abuse and discrimination of “Pitbull type dogs” (Pibbles) through live events, funds, education and advocacy. 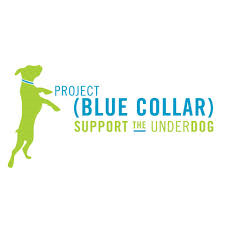 The Foundation supports Pit Bull type dog rescues around the country by raising funds, providing publicity opportunities and Pibble adoptions at the Stand Up For Pits live events and through sales of their branded accessories and clothing. Urban Suburban Apparel is a small group of passionate people who have made it their mission to be the voice for the voiceless, create positive thought-provoking designs; and, most importantly, to give back to charitable organizations through the sales of our clothing. We screen print our own designs for both you and your fur-baby. Urban Suburban Apparel proudly generates funds for various organizations. 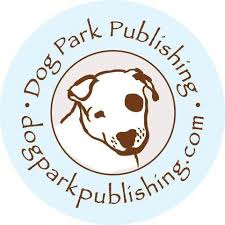 PBC is a global MOVEMENT to celebrate rescue dogs and unite the people who care about them. PBC is a way to show RESCUE PRIDE and tell your rescue dog’s story. PBC GIVES BACK to rescue groups to support their lifesaving work. With everything from wristbanks, tshirts, dog hoodies, and collars... now you can wear your rescue pride! 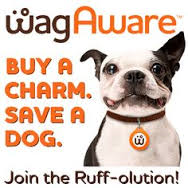 The WagAware Charm is the only charm that saves dogs' lives. When you or your dog wears a WagAware Charm, you encourage rescue and adoption of dogs in need of loving, forever homes. Plus, WagAware donates 50% of its profits to shelters, rescue groups and animal welfare charities. Do you have a favourite organization that supports positive pitbull awareness campaigns and donates to animal rescue charity? Do you think we should include your fav's here? Let us know... we'd love to hear from you.